Angelina Jolie is reportedly being consoled by Johnny Depp following her split from Brad Pitt. The 41-year-old mother-of-six starred alongside Johnny in The Tourist in 2010 and has apparently turned to the Hollywood star in the wake of her high-profile split from Brad, 52. A source explained: "Angelina idolised Johnny for years before she worked with him on The Tourist, and then the pair of them really hit it off on set." Johnny, 53, is reported to have recommended divorce lawyer Laura Wasser, who represented the actor through his divorce from estranged wife Amber Heard, to Angelina following the collapse of her marriage. An insider told The Sun on Sunday newspaper: "The two of them have stayed in touch ever since then, and spoke regularly during the storm that surrounded Johnny's break up with Amber. 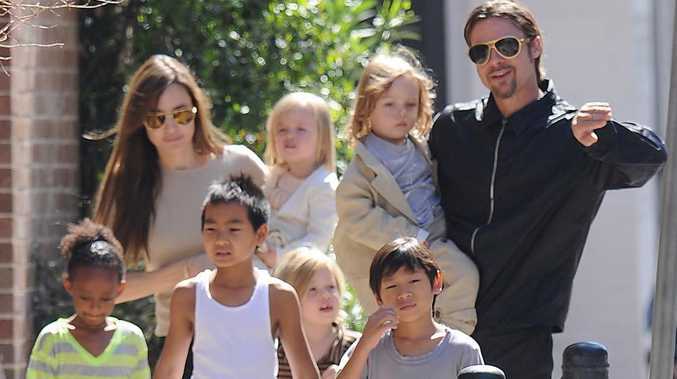 "There's no suggestion that their closeness played any part in Angelina and Brad's split. But they have been speaking about the situation, and Angelina hired Johnny's lawyer to represent her based on the advice that he has given her. "Her friends are now speculating about what could happen between them if she and Brad are not reconciled and their divorce goes through." This comes shortly after Angelina's father Jon Voight said his daughter is doing "fine". However, he expressed concern for her children - Maddox, 15, Pax, 12, Zahara, 11, Shiloh, 10, and eight-year-old twins Knox and Vivienne. He said: "I'm sure she's doing fine. Listen, I'm concerned about anyone who's going through tough times... for the family and for the kids."